Carthage Theatre presents the world premiere of a new translation by Carthage classics major/theatre minor Melody Abbott ‘18, and classics major and combat veteran Lawrence Gums ‘19. 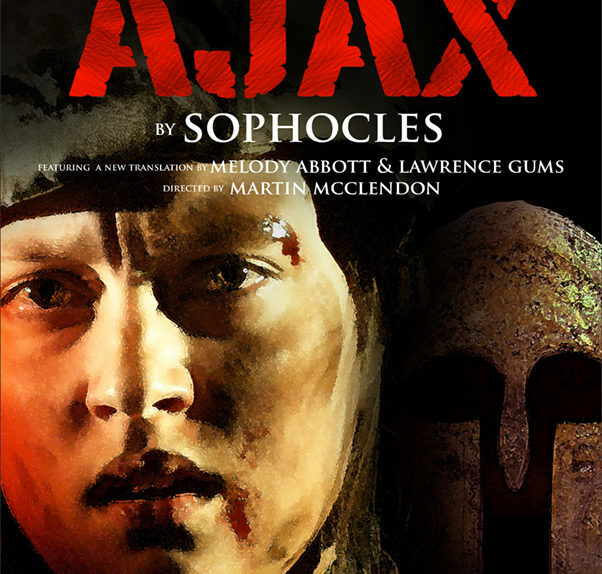 As relevant today as it was when Sophocles first wrote it, this timeless tragedy follows the story of Ajax, hero warrior of the Trojan War, who is publicly humiliated when the armor of fallen hero Achilles is gifted to Odysseus instead of him. Ajax vows revenge on the generals who have dishonored him, but is tricked by the goddess Athena into thinking a flock of sheep is actually a group of his enemies, whom he slaughters. Coming to his senses, Ajax is humiliated by his actions and teeters on the verge of suicide. Will he take his own life, or can his wife Tekmessa and his own soldiers convince him to stay alive? Excerpts of Ajax have been performed in Milwaukee at The Milwaukee Repertory Theatre, and twice at Carthage’s own Wartburg Theatre, including a 300 line excerpt from the original 1420 version during 2017’s annual VET Night of the Arts, where we raised a total of roughly $10,500 for VOW, Veterans Outreach of Wisconsin. Ajax has since been accepted onto the main stage of Carthage’s Wartburg Theatre as a fully produced and funded show which will premiere October 2018. It will travel to Madison, Wisconsin as a part of the November 2018 exposition of contemporary veteran art.